Students of the assassination of President John F. Kennedy might be intrigued by Clint Hill’s views on the shooting. The only Secret Service agent that day to react to the shots by jumping on to the presidential limo, Hill was the only one covering both the President and the First Lady only a second or two after the fatal wound. 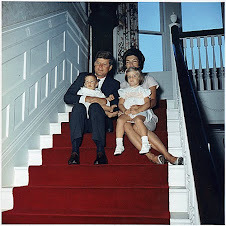 Hill testified at length before the Warren Commission that made the official determination in 1964 that President Kennedy was killed by a lone gunman, Lee Harvey Oswald, shooting three rifle rounds from the sixth floor of the Texas School Book Depository. However, Hill does differ from the Warren Commission’s account on a key bit of the shooting. The official version has Oswald shooting three times from the sixth floor. One bullet hit Kennedy, going through his neck, then passing, back-to-front through Texas Gov. John Connally’s chest, through his wrist and stopping in [his] thigh. Another bullet missed the limo altogether, hit the street, sending a shard of concrete curb into the face of a bystander, James Tague, who had a slightly bleeding wound [on his face] documented well that day. 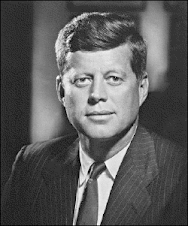 The final bullet hit Kennedy in the head, fatally wounding him. 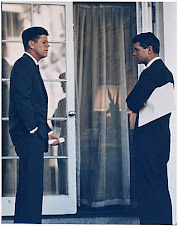 However, although Connally supported the Warren Commission’s conclusion that Oswald was the only shooter and could have gotten no more than three shots off, until the day he died he remained convinced he was not hit by the same first shot that hit Kennedy in the throat. Connally said he heard the first shot, recognized it as a rifle shot and turned to his right to see behind him. Not being able to see Kennedy, Connally said he began to turn back to his left to see when he was hit by what he says was the second shot, one that nearly killed him. He then heard the third shot that fatally wounded Kennedy, which did not hit him, Connally said. Connally’s wife, Nellie, was seated next to him in the limo’s “jump seats,” ahead of the Kennedy’s and corroborated her husband’s account throughout her life. The “magic bullet’ theory involves the bullet found on a gurney in the hospital, showing little damage, shortly after the shooting. The Warren Commission’s staff lawyer Arlen Specter determined that single bullet went through Kennedy’s neck and did all the damage to Connallyhit Kennedy and Connally.or, Arlen Specter, to have been the one that went through Kennedy’s throat, then through Connally’s torso, wrist and into his leg, falling out at some point. That allows the Warren Commission account to have one of the three shots fired miss the limo, hit the street, wounding Tague with the splinter of concrete. Hill, on the other hand, figures Tague was hit by a concrete shard launched by the impact of a fragment of one of the three rounds fired by Oswald, after it had hit a person. 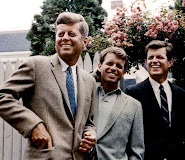 Three of the seven Warren Commission members, in fact, also dissented from the official description of the three shots, siding with Connally’s view that he was hit by the second shot, not the first one that hit Kennedy in the neck.